Machu Picchu is a small architectural development that was built in the fifteenth century by the Incas; believed to have been a royal estate or a religious site for Inca leaders. 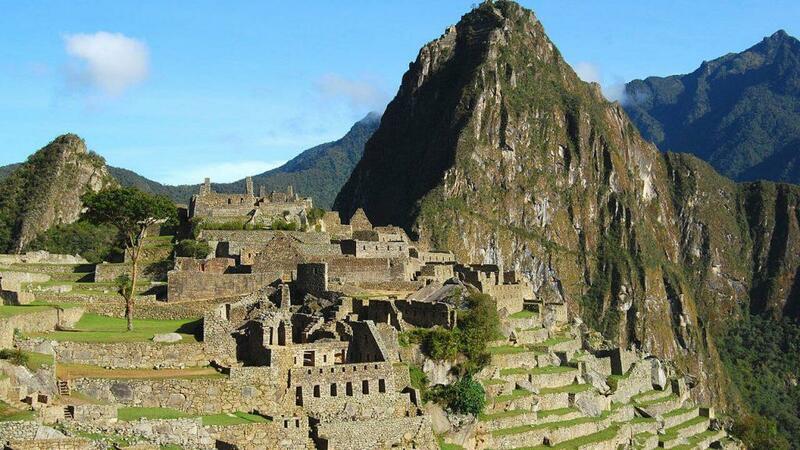 It abandoned in the sixteenth century when the Inca Empire was conquered by the Spaniards. Machu Picchu consists of roughly 200 structures on a steep ridge that is crisscrossed by terraces made of stone. Despite the enormous size of the structures, Machu Picchu is still incredibly stunning; a well-balanced natural environment of refined architecture. Archaeologists have identified distinct sectors that collaboratively comprise the city, a farming zone, a residential neighborhood, a royal district and a sacred area. Two of the most famous structures are the Temple of the Sun and the Intihuatana Stone – a granite rock believed to have been used as a solar clock or calendar. Travel to Machu Picchu – Peru, in general, requires both landing permits and overflight permits. Generally, four business days are required to obtain these permits; however, three days is often sufficient to land at Velazco Astete Airport in Cusco, Peru (ICAO Airport Code SPZO and IATA Airport Code CUZ). If you are landing in Lima, Peru (Jorge Chavez International Airport in Lima, Peru / ICAO Airport Code SPIM and IATA Airport Code LIM), two days will often suffice. While private jet travel is often very flexible, last minute changes are not recommended when traveling to Peru. Operations into Cusco involve special crew training for the approach to SPZO and aircraft performance is often challenging, as landing at SPZO is more suitable for smaller planes with great performance capabilities. Most larger aircraft that are often used for international travel would not fly into Cusco, Peru. The best way to travel to Machu Picchu is to land in Lima and hire a local plane to fly passengers from Lima to Cusco. From there, you would take a train to Aguas Calientes (the closest city) – this train ride is approximately 3 ½ hours in each direction but is a beautiful trip that runs along the Urubamba River. If you are staying in central Cusco, it is worth noting that Cusco has pretty tough traffic so you should allow an hour to get to the train station. Discerning travelers will likely prefer the Belmond Hiram Bingham train service on a gorgeous train with polished brass and wood and meal services that include white tablecloths and wine. If you are more price conscious then you might prefer the Inca Rail or Peru Rail. Book early! Tickets sometimes sell out months in advance. Another option to travel to Machu Picchu would be to get a train ticket to Augas Calientes that departs from Ollantaytambo in the Sacred Valley. You could take a taxi from Cusco to Ollantaytambo (about an hour taxi ride) and stay overnight to check out the town. Two hotels you might want to consider in Ollantaytambo are Aranwa Hotel and El Albergue. If you prefer to stay a night or two in Aguas Calientes, the Inkaterra Machu Picchu Pueblo Hotel is the way to go! It’s a resort on the edge of town with green paths taking you past beautiful birds, blooming orchids and has a pool and jacuzzi. The cozy rooms boast local decor and come with a cozy fireplace. If you are price conscious the owners of the Inkaterra Machu Picchu Pueblo have a second property, El MaPi, that has a more casual (and younger) vibe. For the VERY DISCERNING, who want to stay right at the gates of Machu Picchu, the small Belmond Sanctuary Lodge is the way to go. While access is not cheap, how can you put a price on being one of the first ones in and last ones out of Machu Picchu and, perhaps the best benefit of all, avoiding the long bus lines. Private Jet Charter: It Is Much More Comfortable On Top! Private Jet Charter Audits: What Do They Really Mean? Copyright © 2017 Exquisite Air Charter. All Rights Reserved. Exquisite Air Charter arranges flights on behalf of our clients with FAR Part 135 direct air carriers that exercise full operational control of charter flights at all times. Flights will be operated by FAR Part 135 direct air carriers that have been certified to provide service for Exquisite Air Charter charter clients and who meet all FAA safety standards and additional Exquisite Air Charter safety standards. Exquisite Air Charter is not an aircraft operator.